Since the Trump Administration took office, the ACA has been under fire from the White House and many Congressional Republicans. Legislative repeal of the ACA failed. However, Republicans were able to eliminate the ACA’s Individual Mandate penalty through the Tax Cuts and Jobs Act of 2017, effectively removing the Individual Mandate requirement beginning January 1, 2019. This has led to the recent ruling made by the U.S. District Court for the Northern District of Texas, Fort Worth Division, entitled, Texas v. United States, which determined that the ACA is unconstitutional because the Individual Mandate that requires Americans to purchase health insurance has been made invalid by the 2017 tax legislation. The judge in the case has issued a stay, keeping the ACA in place while an expected series of appeals are filed to challenge the ruling. It’s clear that the ACA’s Employer Mandate remains in place. Applicable Large Employers (ALEs), organizations with 50 or more full-time employees and full-time equivalent employees, are required under the ACAto offer Minimum Essential Coverage (MEC) to at least 95% of their full-time workforce (and their dependents) whereby such coverage meets Minimum Value (MV) and is Affordable for the employee or be subject to IRS 4980H penalties. 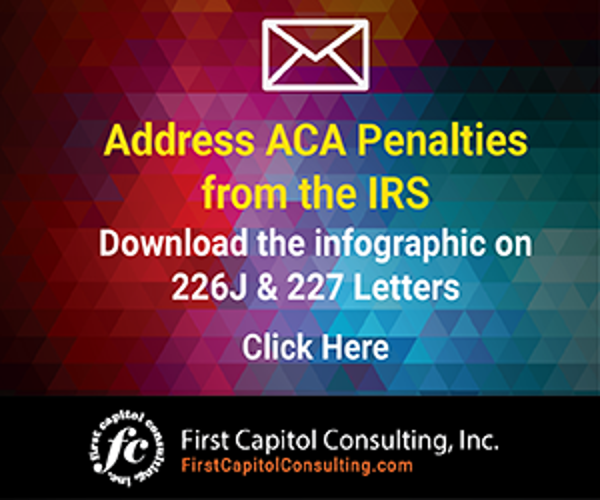 Employers still face IRS filing deadlines under the ACA for the 2018 tax year, and the tax agency is signaling no plans to let up on enforcement. It’s unclear what the fate of the ACA’s Individual Mandate may be with a new Democratic majority in the U.S. House of Representatives. Could this new majority try to reinstate the Individual Mandate penalty? If they did, would the Republican majority in the U.S. Senate or the White House go along? With so much uncertainty around the Individual Mandate, some states have decided to take matters into their own hands. So far, New Jersey, Massachusetts and Vermont have already passed their own statewide individual mandates. In New Jersey, state residents are required to have health insurance or be subject to a state tax penalty starting January 1, 2019. The penalties collected will be allocated towards a Health Insurance Security Fund, which will help subsidize healthcare costs for seniors and the chronically ill. Officials of the state believe that individual mandate was a critical component of the Affordable Care Act’s integral foundation. Vermont similarly has passed a statewide mandate but it will not take effect until 2020. Perhaps more states will pass their own legislation in 2019 and this will be the year for statewide individual mandates. States such as Hawali, Connecticut, Rhode Island, Minnesota, California,and the District of Columbia have been considering their own versions of individual mandates for residents. Maryland is one example of a state looking at individual mandate legislation. The state is proposing legislation that asks state residents on their state tax returns if they have health coverage. Those that answer “no” would be subject to $700 or 2.5 percent of their household income, whichever is greater, according to an article in the Baltimore Sun. Residents will also have the option to use the penalty towards purchasing a health insurance policy. As states continue to pass their own legislation relating to healthcare in reaction to changes to the ACA at the federal level, expect the complexities of reporting and complying with the law will become more complex for employers, particularly those operating in multiple states. 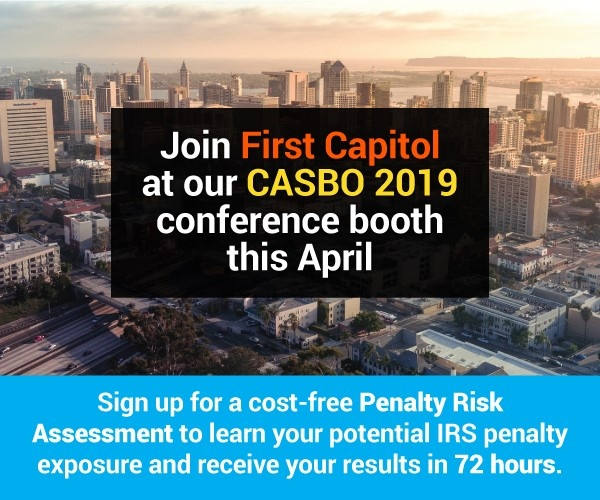 Is your organization at risk of being assessed ACA penalties by the IRS? 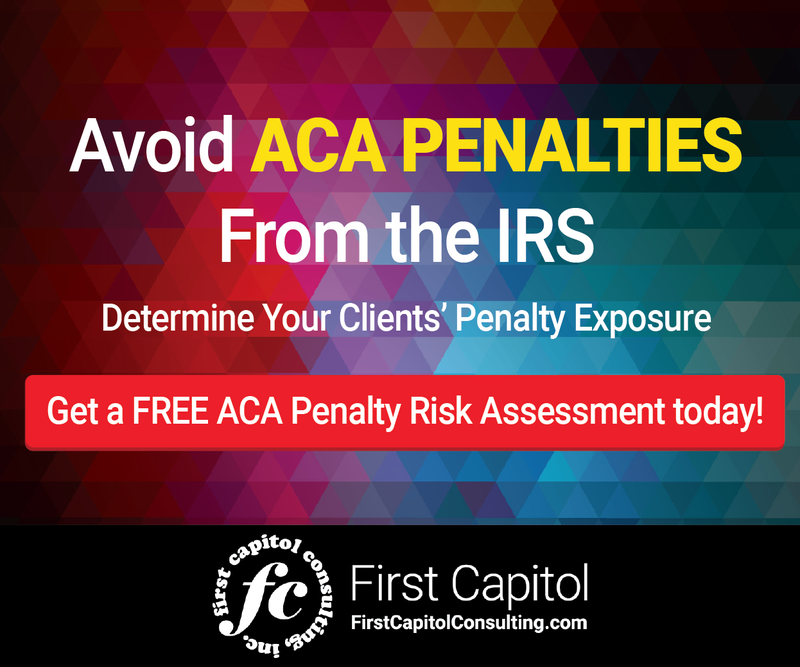 Schedule a cost-free ACA Penalty Risk Assessment today to discover your potential ACA penalty exposure here. Will 2019 be the year for statewide individual mandates? Maryland proposes legislation that could follow in the trend.